The culture of contemporary medicine is the object of investigation in this book; the meanings and values implicit in biomedical knowledge and practice and the social processes through which they are produced are examined through the use of specific case studies. 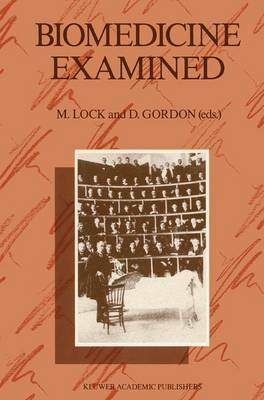 The essays provide examples of how various facets of 20th century medicine, including edu- cation, research, the creation of medical knowledge, the development and application of technology, and day to day medical practice, are per- vaded by a value system characteristic of an industrial-capitalistic view of the world in which the idea that science represents an objective and value free body of knowledge is dominant. The authors of the essays are sociologists and anthropologists (in almost equal numbers); also included are papers by a social historian and by three physicians all of whom have steeped themselves in the social sci- ences and humanities. This co-operative endeavor, which has necessi- tated the breaking down of disciplinary barriers to some extent, is per- haps indicative of a larger movement in the social sciences, one in which there is a searching for a middle ground between grand theory and attempts at universal explanations on the one hand, and the context-spe- cific empiricism and relativistic accounts characteristic of many historical and anthropological analyses on the other.